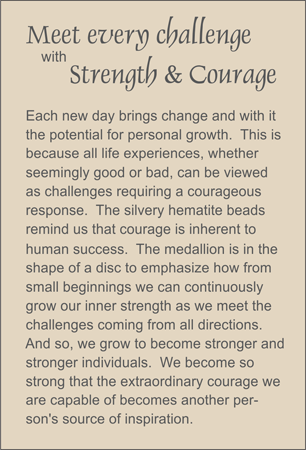 MEDALLION: Red jasper disc medallion showing how growth proceeds from small beginnings in the center to reach out in all directions. ACCENTS: Hematite beads and red jasper cubes. COMMENTS: This red is the color of valor.